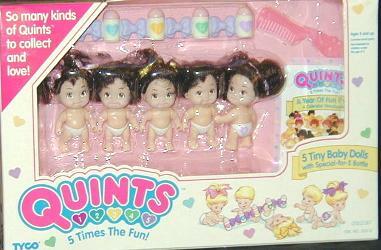 "So many kinds of Quints™ to collect and love!" 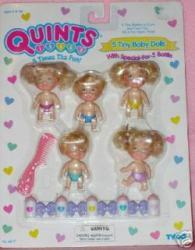 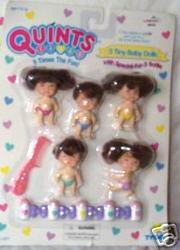 I believe this was the first set of Quints dolls made available. 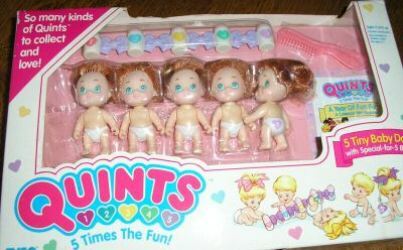 So far I know of four different versions of the boxed set. 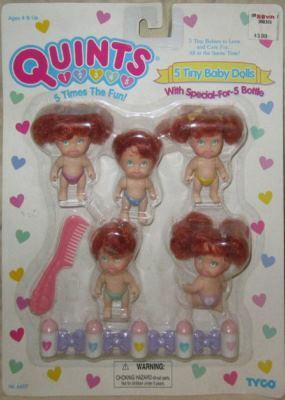 There also seems to have been a carded version available as well. 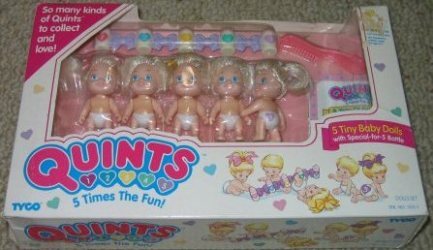 However, instead of having white diapers with a heart of the appropriated color with a number inside, these instead pink, blue, yellow, green, and purple diapers. 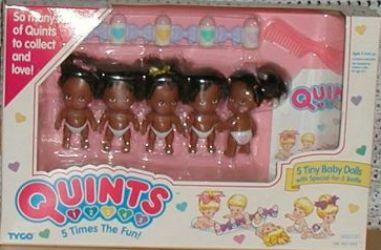 -White dolls with black hair.